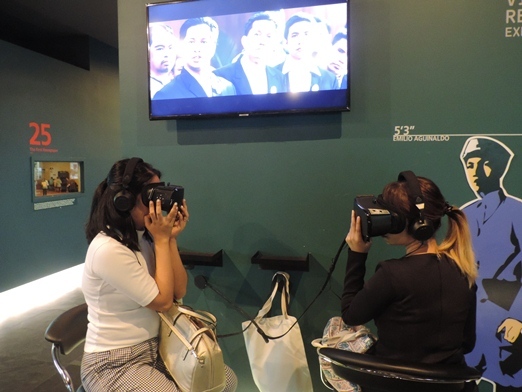 Media partners and guests were given a glimpse of the future of history yesterday as tech startup I AM Cardboard Philippines (IAC PH) unveiled the Virtual Reality diorama entitled “Emergence of the Filipino Nation” at the Ayala Museum. This VR diorama features iconic Philippine heroes Emilio Aguinaldo and Andres Bonifacio in a 10-minute, fully-immersive 360º virtual reality experience. Helmed by Cannes award-winning director Marco Biemann, this live-action diorama utilizes innovative technology, great storytelling and rigorous historical research to recreate the defining moments of Aguinaldo and Bonifacio in the events that led to the country’s independence: the Cry of Pugad Lawin, the Tejeros Convention, the Trial of Andres Bonifacio at Maragondon, and the Declaration of Philippine Independence in Kawit, Cavite. The diorama can be viewed using a pair of Virtual Reality goggles provided by IAC PH. 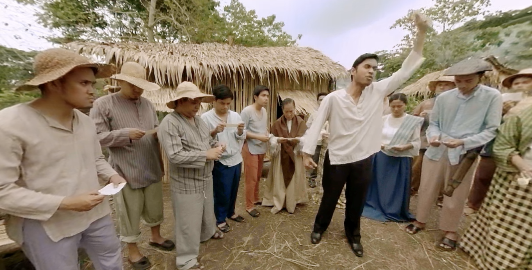 “Emergence of the Filipino Nation” is the second VR content made by IAC for Ayala Museum, and comes after the diorama series “The Future of History,” which dramatized Jose Rizal’s execution in Bagumbayan. Incidentally, the “Future of History” recently clinched a Silver Boomerang for Visual and Audio Excellence under the Digital Craft category during the 2018 Boomerang Awards. 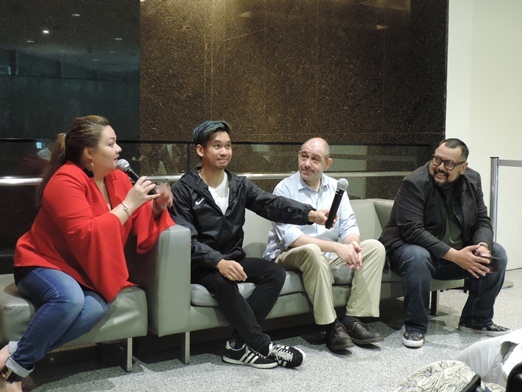 Awarded by the Internet and Mobile Marketing Association of the Philippines (IMAPP) since 2008, the Boomerang is given to advertisers and agencies who excel in digital marketing and content creation. It is IAC PH’s goal to make virtual reality-based learning accessible to as many people as possible is in the Philippines. By partnering with the Ayala Museum, IAC PH has successfully revolutionized the Philippine museum experience and made it more delightful and interactive for Filipinos. The “Diorama Virtual Reality Experience: Emergence of the Filipino Nation” can be viewed at the Ayala Museum starting 25 September 2018. Admission fees apply. This entry was posted in #thefutureofhistory, Ayala Museum, Emergence of the Filipino Nation, I AM Cardboard Philippines, Virtual Reality, Virtual Reality Diorama. Bookmark the permalink.